Though not a formal title, ‘Sharpshooter’ is the epithet given to the most gifted Elvish marksmen. 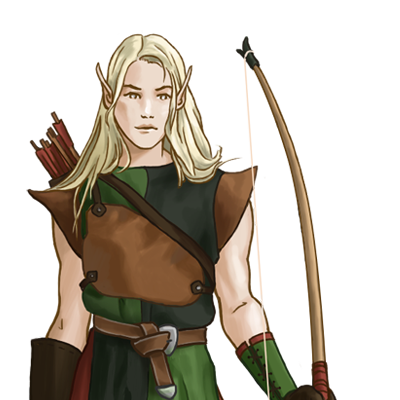 These expert archers are capable of feats that, even by Elven standards, border on miraculous: they have the precision to split incoming arrows midair and can loose a second arrow before the first hits, all while maintaining enough power to damage steel armor. A single volley of their arrows is enough to bring down a knight on horseback, and even heavily-armored infantry will survive few additional shots. 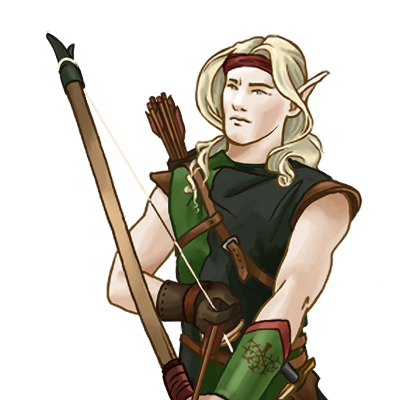 The sharpshooters of the elves have honed their art to its highest form and are the undisputed masters of archery. Specialaj notoj: This unit’s marksmanship gives it a high chance of hitting targeted enemies, but only on the attack.